From the thumbnail, the second version looks unchanged. But when you click on it, you’ll notice that the lines are so dense that it looks textured! 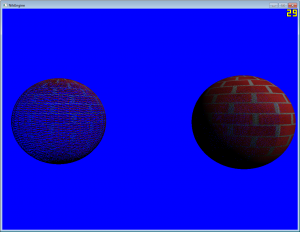 The sphere on the left (sphere 1) uses the traditional method of sphere generation. It has 31 subdivisions on the y-axis and 31 subdivisions on the z-axis of the half-sphere. This half-sphere is then mirrored to the bottom. It has a total of 3,844 faces. 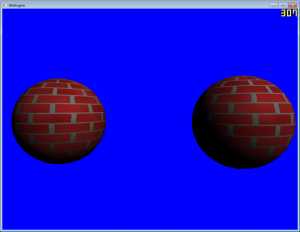 The sphere on the right (sphere 2) uses an icosahedron subdivision algorithm to generate a sphere. It has a recursive depth of 5 and generates 109,200 faces. The icosahedron is an almost perfect sphere, but it comes at a high price. It uses a lot more faces to achieve the same effect. Sphere 1 uses 5 subdivisions on the y-axis and 5 subdivisions on the z-axis, for a total of 100 faces. 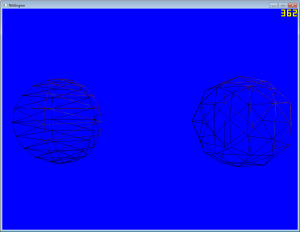 Sphere 2 uses 0 recursive subdivisions, for a total of 100 faces. They use the same amount of faces, but in my opinion, the sphere on the left looks better. It looks less lumpy and a lot more round. Let's take a look at the amount of faces per quality level. It's easy to see that the subdivided sphere gives you a lot more bang for your buck. The 30-subdivisions version is comparably in quality to the 5-level recursive icosahedron, but it uses only 3.2% of the faces! On the top-left, you can see the texture being used. Coincidentally, it's also being generated procedurally. (Hey, it was a course on procedural generation, right?) It looks terrible, but this is as good as it's going to get. 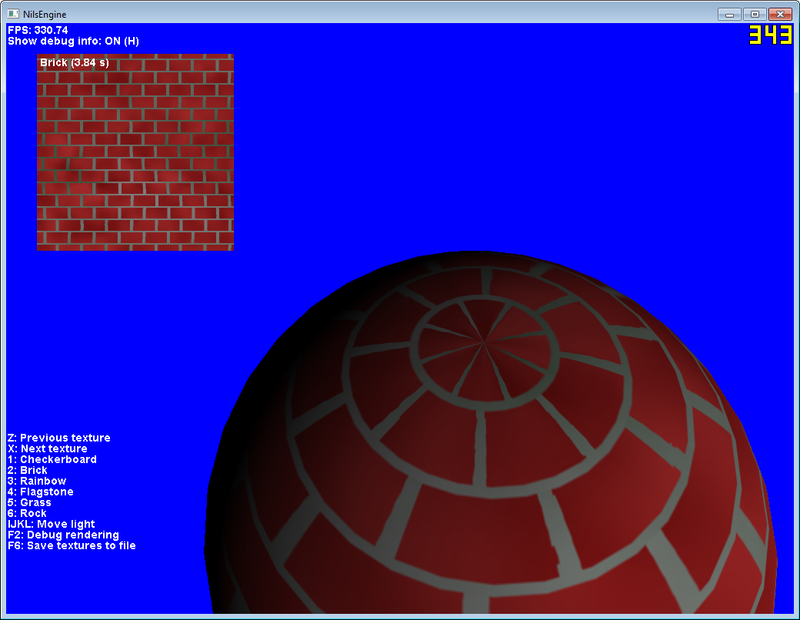 I got top marks for my texture mapping, because most people don't even get it this right. The way I solved it is by generating polar coordinates from normalized coordinates on the sphere to get the texture u and v. I won't go into too much detail, because I don't want to ruin the course material. But I do have a fix for the dateline issue, which took a very long time to figure out. When the texture goes around the sphere, you get to a face that has to wrap around from 1.0 to 0.0. If you don't fix that, you will get an ugly band. It's not a lot of code, but it isn't explained properly anywhere else. 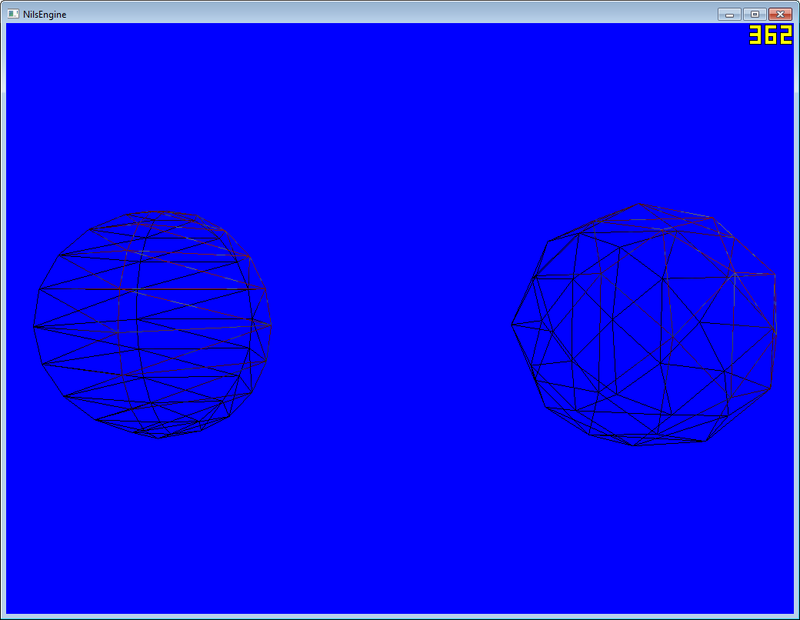 The same code is used for both the icosahedron and the subdivided sphere, in case you were wondering. Consider using cosine and sine to generate a sphere. It generates a lot less faces for the same amount of detail. For most games it will be "good enough". Unless you're generating planets that really, really need to be round all over its surface, you can get away with a subdivided sphere quite easily. Recently I’ve picked up work again on my indie game: PostApocalypse. Last summer, I needed to stay busy. You don’t want to come out of your summer holiday with a set of blunt tools, so you need to continue using them. It was actually my father who gave me inspiration for this game. My dad is an accountant who specializes in automating business processes. Yes, it’s as dull as it sounds. But he was complaining that if the world were to end, his skills wouldn’t be of use to anyone. I disagreed, because even after the apocalypse food supplies will need to be kept track of, trading will still have to be organized and eventually governments are to be rebuilt. And that… sounded like a pretty cool game to me. 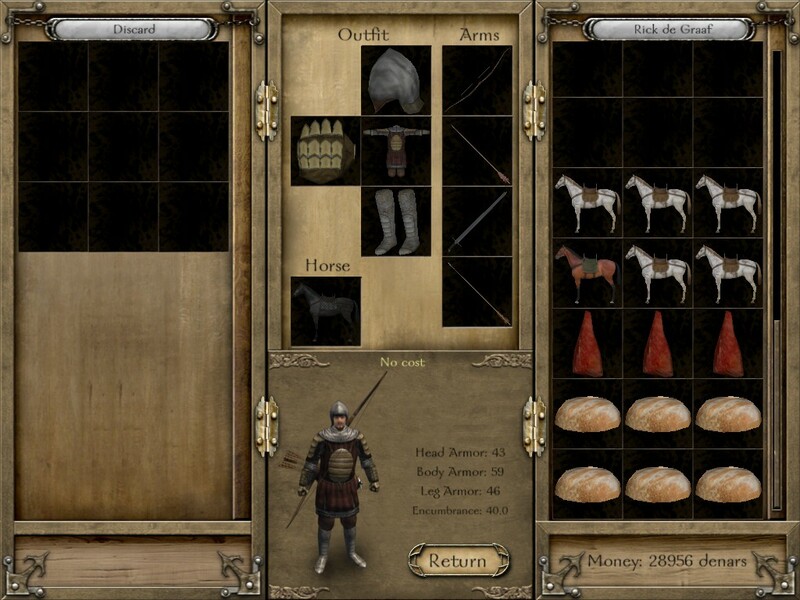 What helped was that at the time, I was playing boatloads of Mount & Blade: Warband. 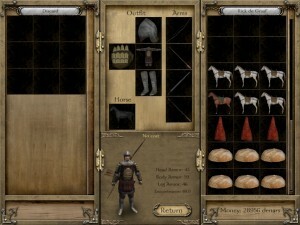 If you’ve never heard of it, it’s a game where you start with a lonely fighter on a horse and end up with a mighty army. But what I especially enjoyed was the trading, because you can make a lot of money with very little effort. Some settlements will have a surplus of one material, but lack another. 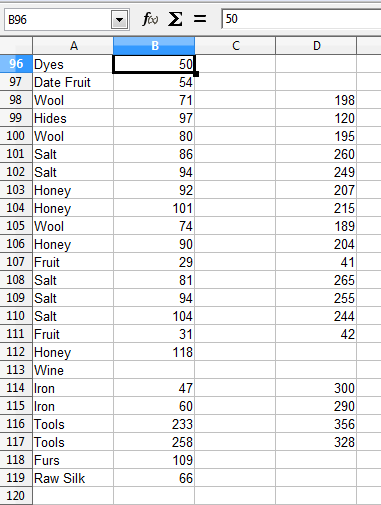 For instance, grain will be cheap in city A, but expensive in city B. 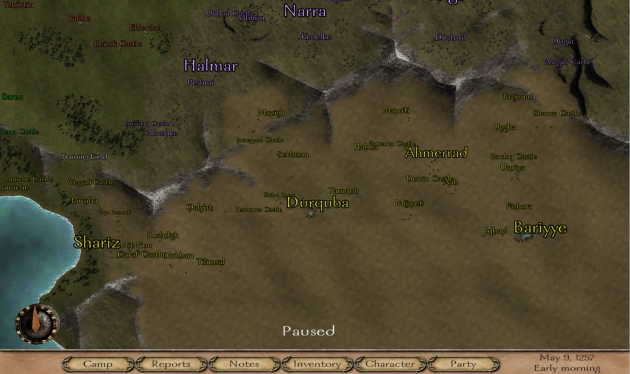 If you can keep track of those differences (for instance, on a piece of paper) you can send caravans from one city to the other and reap mountains of gold. 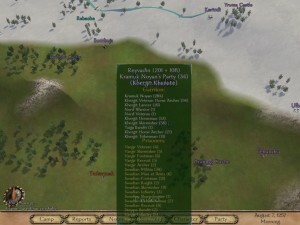 It took me forever to find this screenshot of Mount & Blade: Warband. Apparently nobody else enjoyed the boring bits as much as I did. So my very first design goal became: if you don’t need paper to keep track of “hidden” game state, the design has failed. Another thing I wanted to try was to build a game completely data-oriented. Previously I have blogged about data-oriented design and how it could help your game run faster, but I wanted to see what would happen if I did everything that way. One thing I decided early on was that I wanted hexagonal grid cells as a landscape. So I had a “Landscape” class and it had “DataChunks” and “DataCells”. The cells themselves would have to be built every frame, using the center position as a reference. Using some math you can then derive the normals for each triangle of the cell. That’s all fine and dandy, but the function to do that (_GenerateNormals) assumes cells are in one chunk. When you add more chunk, it becomes increasingly complex. Basically: the code architecture was horrible to work with and impossible to add features to once written. I had coded myself into a corner. I abandoned the project and started focusing on school projects again. 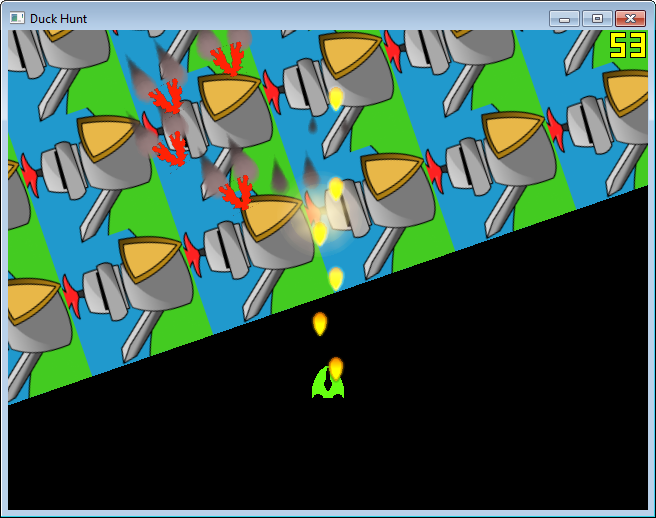 That was half a year ago and now I know better than to try and build a game using data-oriented design. I now (almost) have enough credits to go on an internship. For the first time in a long while, I have some free time. So this week, I decided to take a look at PostApocalypse again. Yup, still as bad as I remembered. I could reuse maybe 5% of the old code, but threw the rest away. Saving and loading game state. And now for the cool part: explaining the game’s architecture! Because I’m trying to avoid OpenGL deprecated calls, I’m using a RenderManager class. 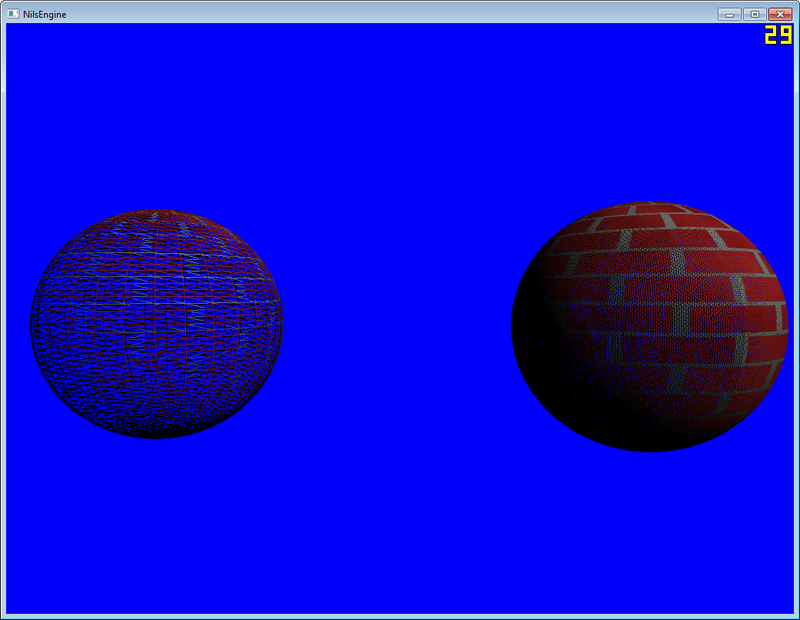 This keeps track of global state like matrices, the current material and the current shader. It makes it easy to abstract all kinds of rendering operations without losing performance. 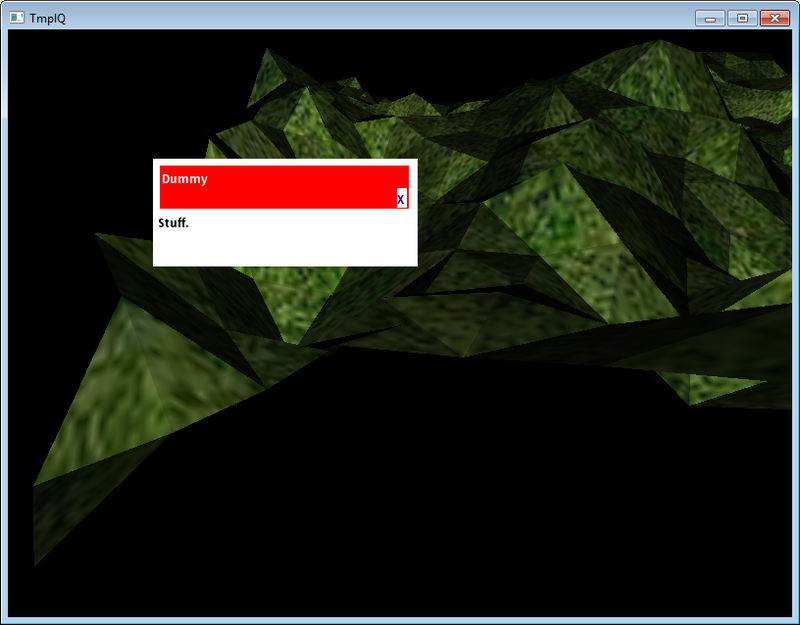 I built the first version of the rendering architecture for my Procedural Generation class. 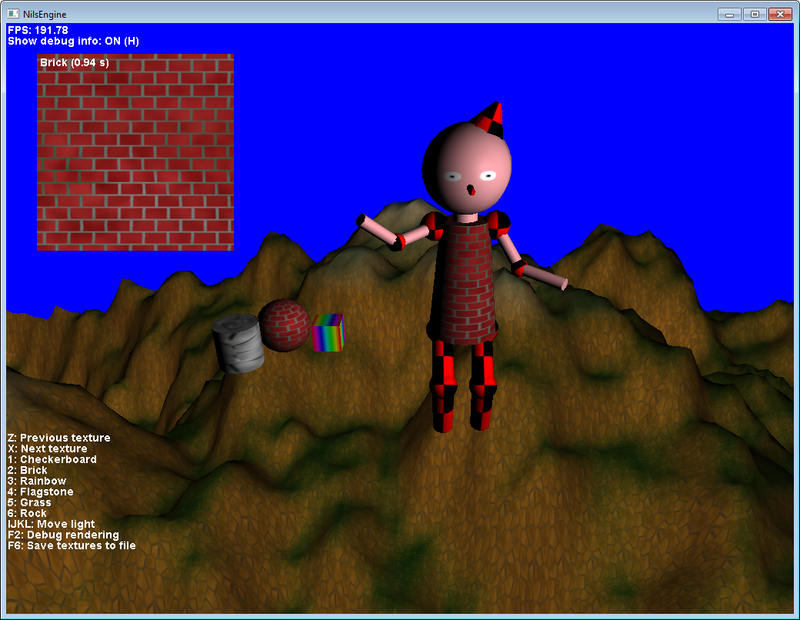 I wanted to experiment with using “new” OpenGL (> 2.1) and had to figure out how I could still have global state. Okay, pretty cool, but we need to keep track of all people, not just the one. How do we do that? Aha, that makes sense. You might want to read data from a Person, but if you want write data to a Person, you will have to use the Controller. So how do we display the information to the screen? 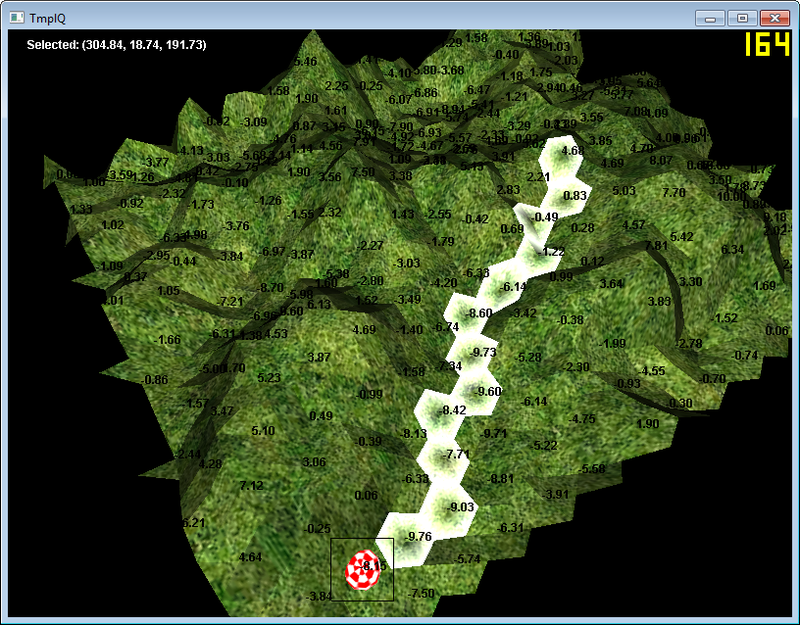 ControllerLandscape – Keeps track of the landscape, the chunks and the cells. ControllerUnit – Keeps track of the units on the landscape. 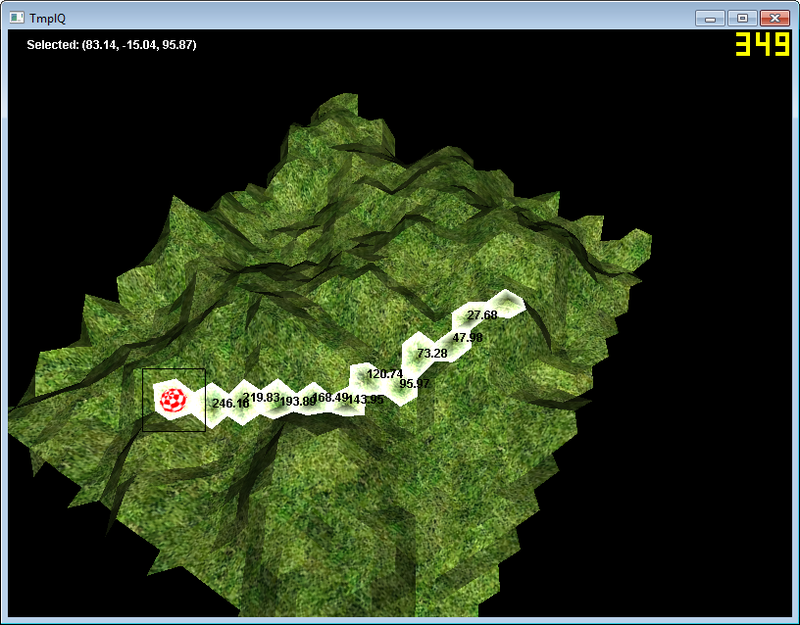 ControllerPath – Combines data from the landscape and the units to find a path for a unit between two points. I can’t stress enough how easy I got this working. I spent two hours doing pathfinding and an hour to put it into its own controller, but when I was done it was completely abstract. What I’m currently working on is trying to save the game state to a file and loading it back in. You might think this is a bit early in the project, because I don’t have that much state left to save. But I’m doing it this early because it’s easier to keep adding to a save game implementation than it is to retrofit it when the game is done. All you have to do is set up the basics and make sure it continues to work throughout the project. It’s a bit clunky, it’s a bit messy, it uses XML and it doesn’t save everything. But it’s a start. That’s it for this week, I’ll try and think of stuff to add for next week. :D Maybe… gameplay? It has been a long time since I’ve released a new version. This is mostly because TinyImageLoader went on the backburner. I’m still supporting it though. 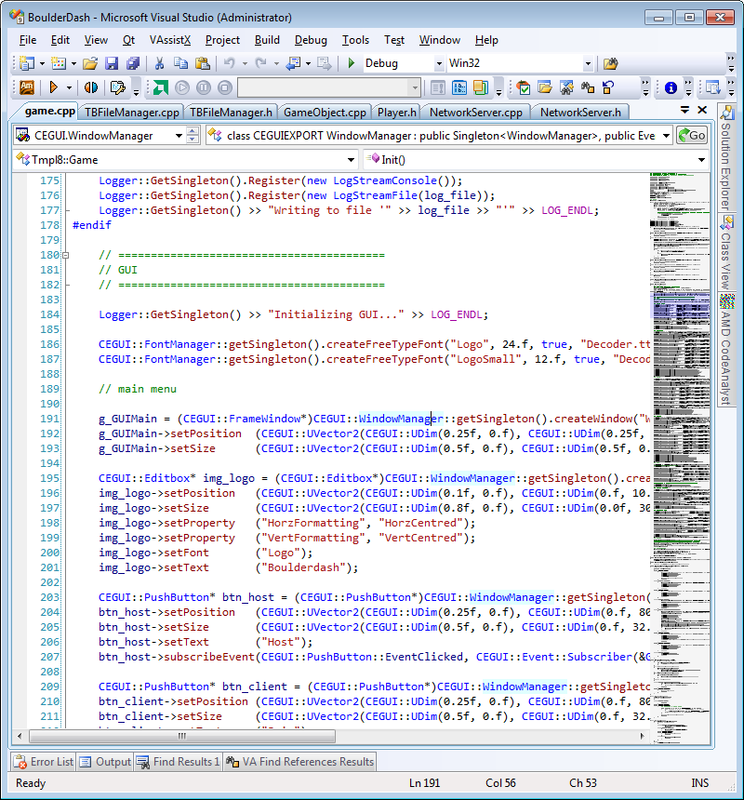 TinyImageLoader (TIL) is a very small C++ library that can load PNG, BMP, TGA, GIF, ICO and DDS images. It does so without fluff or safety guarantees. Before loading, you specify the target pixel format. That way you immediately have your data the way you need it. For a full list of supported formats, please refer to the “Supported formats” page in the supplied documentation. 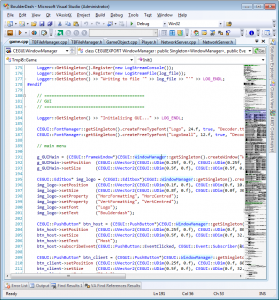 TinyImageLoader is licensed under the MIT license. 1.7.0 introduces flexible pitch. Pitch refers to the width plus padding of an image. In TIL’s case, I talk about both horizontal and vertical pitch. Why is that handy? Well, suppose you need to load images on a platform that doesn’t support non-power of two textures. How would you ensure that the image is always a power of two when you load it? You can’t with 1.6.3. In fact, you’d have to load the image and then pad the data manually. Not fun. This function takes the width and height of an image and sets the horizontal and vertical pitch. Then you can attach the function to the pipeline, after initializing TinyImageLoader. And now your images will always be padded until they are the nearest power of two. You will most likely not have to use this functionality in your projects. In fact, you're more likely to walk over to your artists and smack them on the head for not sticking to powers of two. But it's nice to have and it has other uses too. 1.7.0 comes with improved DDS support. DDS has many forms of compression, but only uncompressed, DXT1 and DXT5 are supported, as these are by far the most common types of DDS textures. 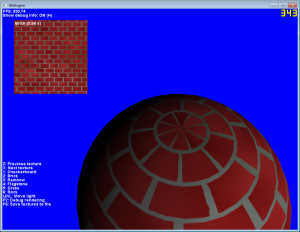 New is support for cube textures and the ability to load mipmaps.